Big Big Train has for most of their career gone almost unnoticed about their business, and if you haven't heard their music, yet, then you're in for a treat. 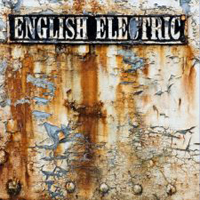 Since Andy Poole and Greg Spawton formed the band back in 1990 they have released seven albums, which brings us to "English Electric (Part One)", their latest piece of art. They find their lyrical inspiration in pre-historical England, and tell stories about the people and the countryside. Their music has strings to the Canterbury scene, often with a classical touch, to bands like Genesis, Jethro Tull and Yes, and it firmly oozes English atmosphere. The beautiful melodies and vocal harmonies play a strong part in the sound, and mixed up with the use of a huge variety of instruments, makes their sound second to none. I was very impressed when I first heard "The Underfall Yard", but this one takes it one step further, so I can only recommend this little gem to those, who haven't discovered this brilliant English prog band.